The ascension of Cyril Ramaphosa to lead the ANC is now a mission accomplished, but under very complex circumstances. Ramaphosa defeated former African Union chairperson Nkosazana Dlamini-Zuma (NDZ) in a gruelling contest, which saw him attaining 179 votes more than her – a very close margin by any measure. Throughout the campaign, I called it for NDZ to win the contest given that her campaign was championed by the premier league, a political alliance between Mpumalanga’s David Mabuza, the Free State’s Ace Magashula and Supra Mahumapelo from the North West Province. With KwaZulu-Natal divided and gradually losing its ability to influence the leadership contest, Dlamini-Zuma relied on Mabuza’s support to survive. A couple of months before the December ANC elective conference were to be held, Mabuza began to act like a man with more serious ambitions than merely delivering victory to NDZ in return for the position of deputy president. Mabuza started to destabilise the premier league by raising doubts as to whether he is fully committed to NDZ’s campaign, or whether he might be interested in helping Ramaphosa defeat her. A cajoling, talkative politician who often wears a wide smile, Mabuza wanted to have the entire top six leadership go his way. He began to advocate for ‘unity’, insisting that Paul Mashatile, who was not part of the Dlamini-Zuma or premier league factions, should be voted into the top six. Mabuza was more daring in making a unity demand, which he knew would not sit well with Dlamini-Zuma’s supporters in KwaZulu-Natal. He positioned himself as the main decider on which camp would succeed, and what the entire top six leadership would look like. I was convinced that beyond securing a position on the top six list, Mabuza wanted to gain control of the ANC without necessarily having to run for the position of the president. That was just an idea on my mind; a scenario that I thought would not be allowed to happen. When the names of the six leaders elected by ANC members in Nasrec were read out, it became clear that Mabuza achieved all that he wanted; he has had his conference and achieved his ‘unity’ picture. Thanks to Mabuza, Ramaphosa ultimately gained sufficient votes to win against Dlamini-Zuma. Ramaphosa’s supporters were hoping their man would not have to stand next to Mabuza as the deputy president. Alas, Ramaphosa will have to also sing praise songs to Mabuza. Just wait and see! Having campaigned on the basis of integrity, Ramaphosa’s dilemma is that the first man who joined him on the podium after he was announced as the new president of the ANC was David Mabuza, a man whose name cannot be associated with the word integrity. Further, Mabuza brought to the top six the controversial and compromised Free State premier Ace Magashule, whose declining popularity in his province has had him winning the position by a very small margin of 24 votes. Compared to all other newly appointed top six leaders (national office bearers), Mabuza has the highest victory margin (379 votes), followed by Paul Mashatile with a victory margin of 339 votes. Coming from a province that supported Ramaphosa, Mashatile’s high margin of victory cannot be due to his support in Gauteng alone because they bring relatively few delegates compared to provinces such as Mpumalanga and the imploding KwaZulu-Natal. Therefore, since Mabuza insisted he wanted Mashatile to be in the top six, Mashatile clearly owns his high victory margin to Mabuza’s influence. Interestingly, Mashatile and Mabuza have both received above 2500 votes. 1. Mabuza has more dominance and control over the broader party membership than his boss, Ramaphosa. 2. Mabuza’s last minute manoeuvres brought support to Ramaphosa, on condition that Jacob Zuma’s allies are also in the top six; with some being new and some merely returning to their positions. 3. Mabuza has neutralised both Ramaphosa and NDZ’s factions respectively. While Mabuza will be spending time further planning his political future and consolidating his power, Zuma allies such as ANC deputy secretary general Jessie Duarte and new secretary general Magashule will be preoccupied with frustrating any move by Ramaphosa to meaningfully uproot corruption and ensure that the ANC does not protect Gupta interests, for example. If Ramaphosa goes too far with his anti-corruption ventures, he will be threatened with recall. Ramaphosa can actually be recalled, paving the way for Mabuza to become the president. Dlamini-Zuma supporters are readily available ammunition that can be used to dislodge Ramaphosa. The problem with winning elections through a borrowed constituent is that, sometimes that comes with unpalatable conditions. 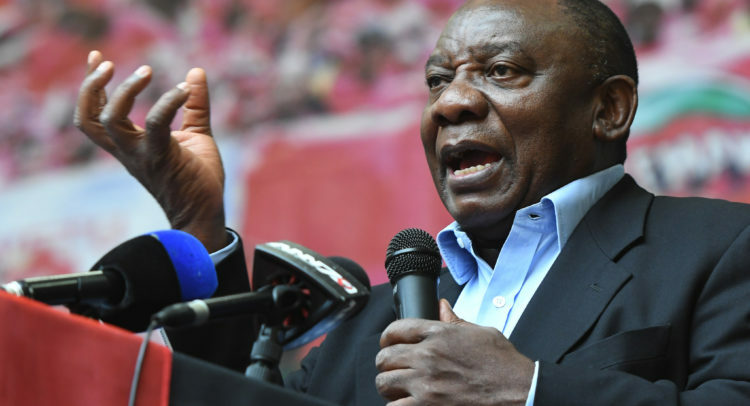 In return for having borrowed support from Mabuza, Ramaphosa has no choice but to rehabilitate him, a demanding project that cannot be accomplished before the 2019 elections. The results of the ANC elective conference is an early Christmas gift for the opposition parties in South Africa. Mabuza would be a strategic point of focus when it comes to poking holes in the integrity picture that the ANC is trying to paint; so is Magashule and Duarte. When it comes to how the ANC works, power lies with the branches and at this moment the branches are on Mabuza’s speed dial. For Ramaphosa, even appointing a credible, impartial public prosecutor is something that the branches might reject, and they can recall anyone who veers in that direction. At the end, the power battle within the ANC has only began. For Ramaphosa to act fearlessly against corruption, he should not fear losing his position as the president of the country. But the possibility of his removal if he becomes too ambitious is not far-fetched.